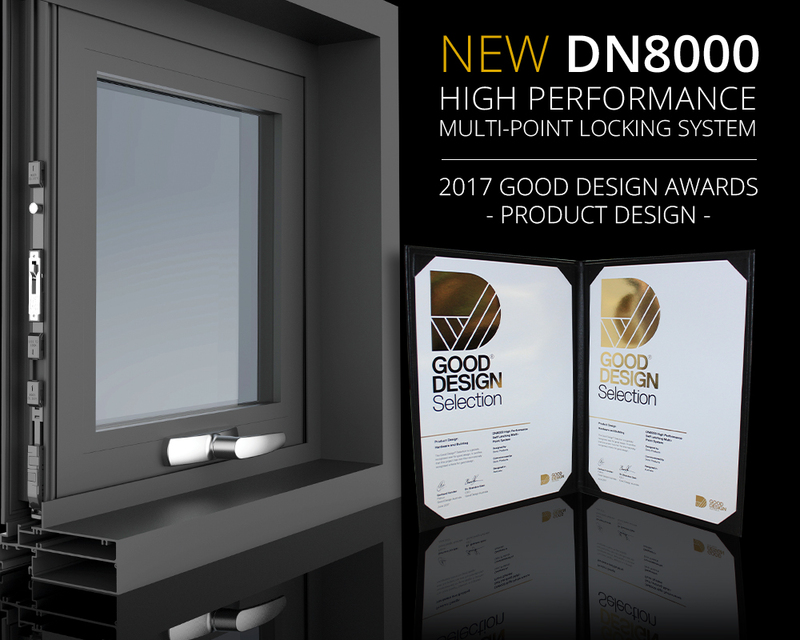 The DN8000 is a High Performance Multi-Point Locking System designed for Awning and Casement window applications. This system is the first of its kind in that it has been designed, developed and tested to meet the specific requirements of the Australasian market. 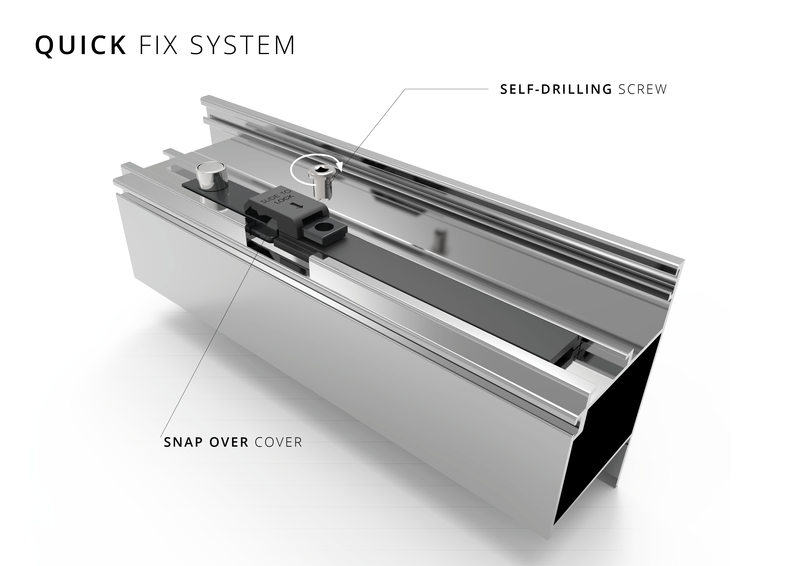 It is also the world’s first locking system that allows a window to “self latch” under potentially damaging high wind loads through an optional integrated self latching mechanism. 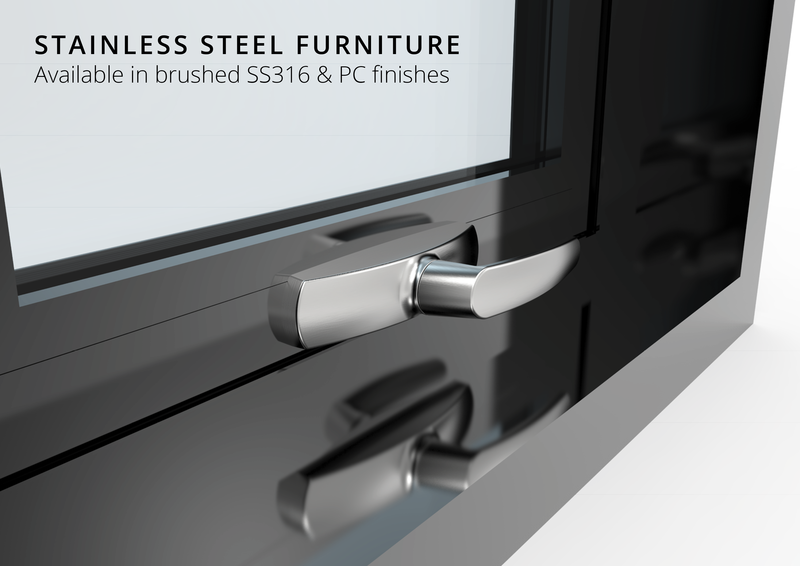 Available with an optional self latching mechanism to ensure windows exposed to high wind loads close securely. 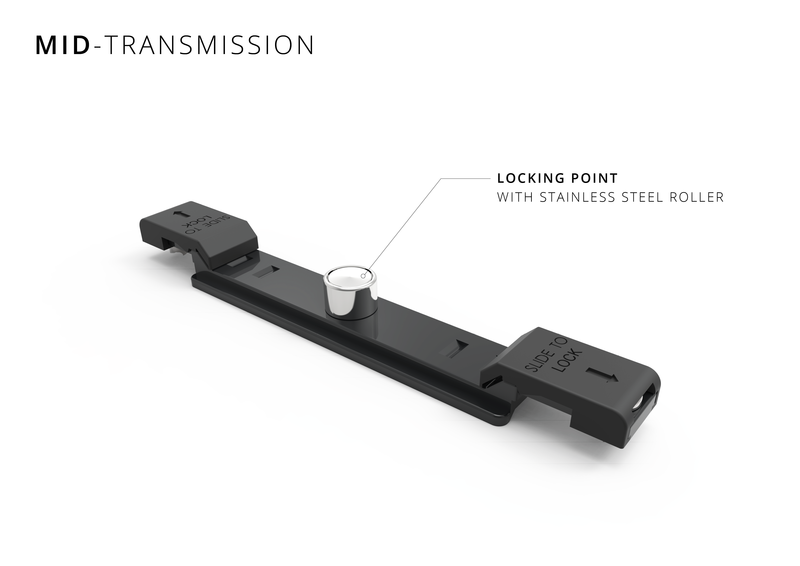 Highest levels of corrosion resistance through the use of Stainless Steel componentry. 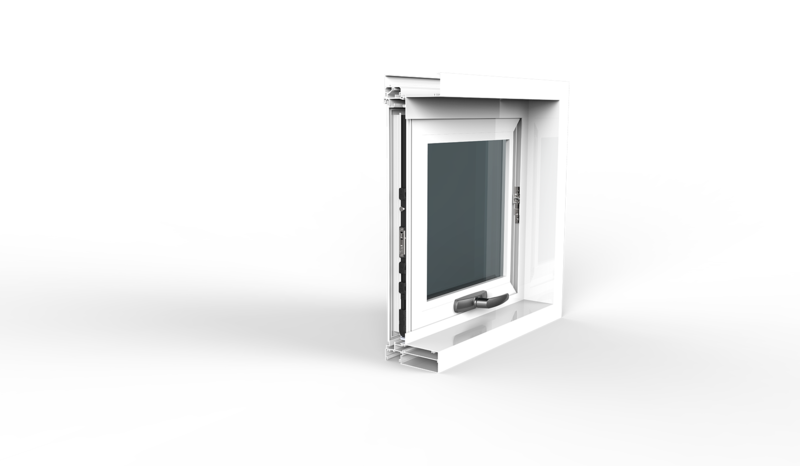 Window Suite – Does the window have a single or double euro-groove extruded into the system? Of course window testing is specific to every window design and fortunately with our in-house independent NATA accredited testing facility; this is part of the complete service that we can offer as part of tailoring a system to suit any application. In order to create a radically improved and high performance Multi-Point Locking System Doric exercised a holistic design process. Rather than allowing the product to be dictated by only a few design parameters we sought to create a system which paid attention and catered to all stakeholders involved, from the delivery of the product right through to the end of life. We aimed to identify and understand each user’s needs before trying to improve the product experience for them. 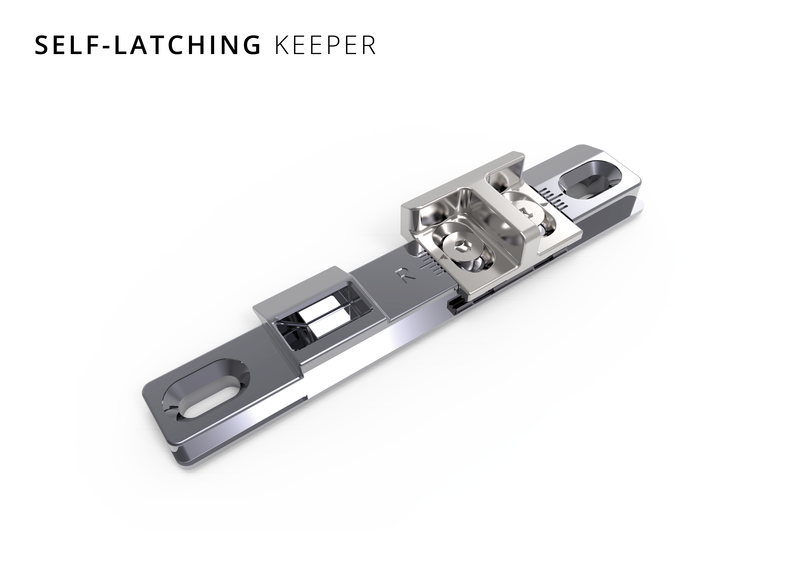 Today we are customising locking components to suit individual window systems and by doing so we are supplying a complete system which is driven by solid test criteria. In order to explore new markets and move away from the traditional waterfall development approach we at Doric explored new methods to create our hardware, including an approach called design thinking. Design thinking is a human-centric design approach which enables holistic product development which also generates customer understanding but also challenges managerial mindsets and processes. Doric’s DN8000 Multipoint System was one of the first projects undertaken with this new design methodology. Before really focusing on Euro Groove multipoint technology we wanted to have a complete understanding of the Australian market in order to identifying all stakeholder issues. Our design journey started with educating our design team on how and when there would be interaction. We exposed our Research & Development team to every user that the product would pass through no matter how small the involvement. Mechanical design engineer and project team leader Mike Alchin conducted research in four countries in order to identify opportunities to improve the product at each stage of the product lifecycle. Through our research, the design thinking process created informed insights which allowed effective ideas to come to light. The result of this process was the creation of the High Performance Self Latching Multipoint System. 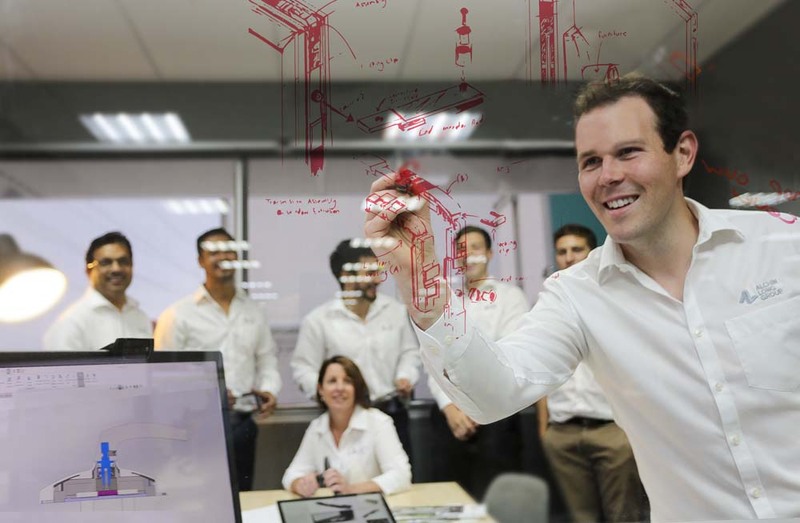 The system represents an exciting new product category for Doric Australia, but a process of consideration towards the complete product lifecycle through design thinking. 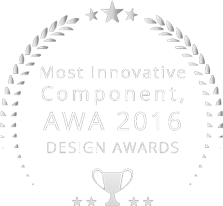 After having launched the DN8000 in 2016, Doric was awarded with the AWA Design Award for the “Most Innovative Component” for our DN8000. 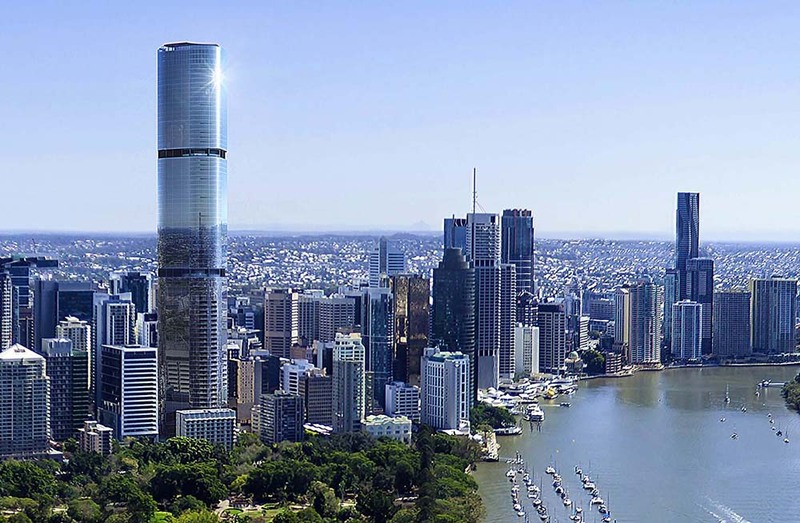 We have also secured several land mark projects in Australia such as the Skytower in Brisbane and the Jewel Towers on the Gold Coast, and we continue to cooperate with a number of fabricators, façade consultants, distributors and system companies throughout Australasia. 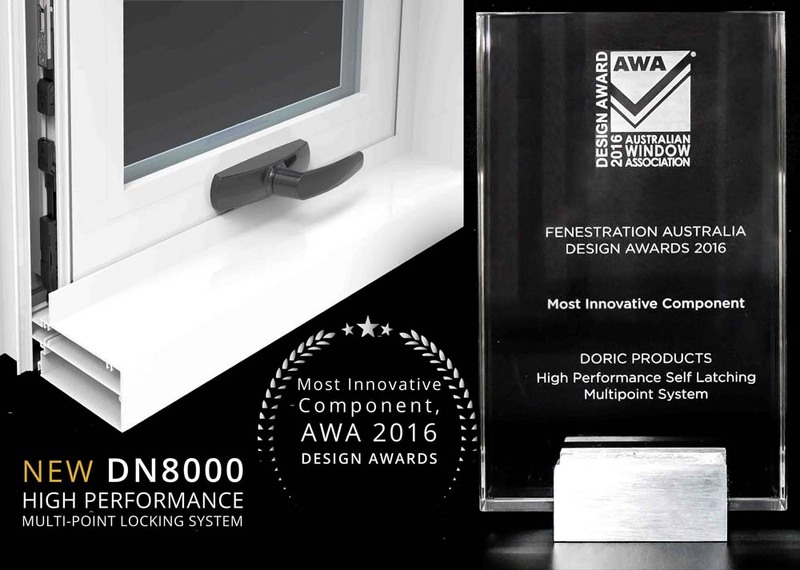 After five years of product development and subsequent launch, the DN8000 recently won the ‘Most Innovative Component’ award at the AusFenEx 2016 Conference, taking home the title for Doric and parent company Alchin Long Group. This isn’t the first time Doric has been recognised for its innovative products. In 2007 Doric’s DH40 Adjustable Hinge took out the ‘Most Innovative Component’ at the AWA Design Award, and in 2009 the Doric Mk 4 Chainwinder won the same award. The AWA’s award for most innovative component was created to recognise products that challenge growing issues present in today’s market and was judged on a number of different criteria including creativity, originality, meeting a specific market need, sustainability and energy efficiency. The DN8000 received a 2017 Good Design Selection in the Product Design – Hardware and Building category at the Good Design Awards. 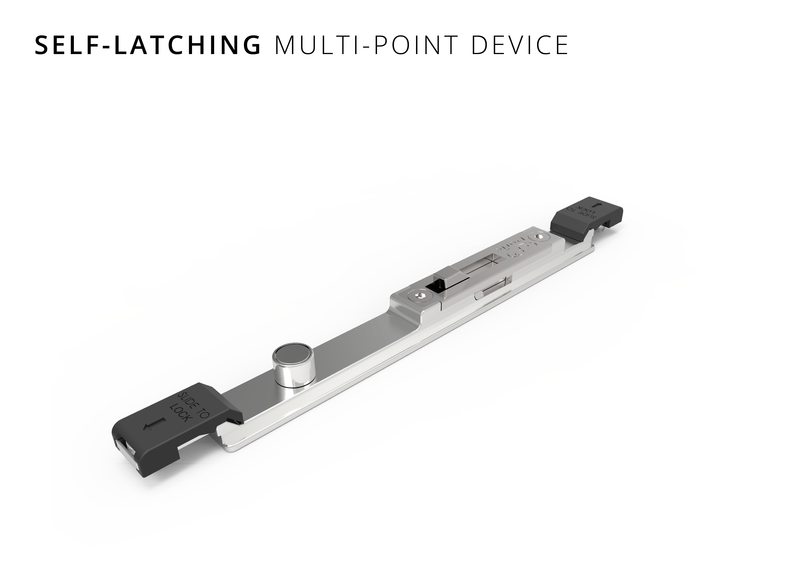 ​After an extensive evaluation process involving more than 35 Australian and international design experts, the selection jury awarded Doric’s DN8000 High Performance Self Latching Multi-Point System a Good Design Selection. The Good Design Awards celebrate the very best in design, innovation and creativity and are Australia’s longest standing and most prestigious design awards dating back to 1958. 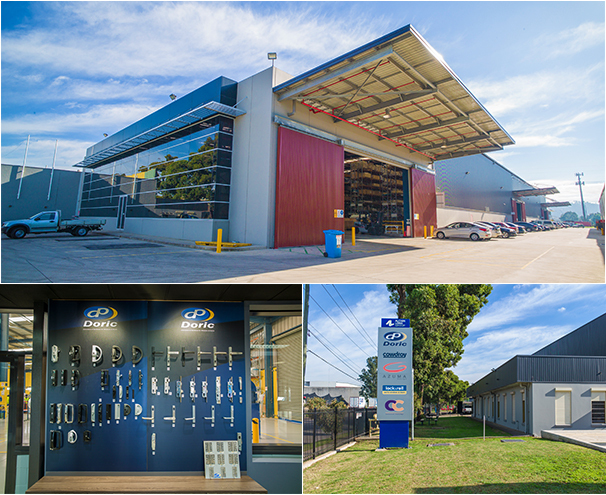 Established in 1972 out of an old racehorse stable in Sydney, Doric has grown to become Australia’s largest privately owned hardware manufacturer with a global reach, servicing the Asia Pacific and North American regions, providing the hardware industry with market leading products. Doric is the flagship company of the Alchin Long Group, the parent company of leading Australian brands that include Cowdroy, Colonial Castings, Lock & Roll and Azuma. Thanks to Doric’s strong focus on research and development, our products are driven by design, performance and innovation, we are able to provide our customers with product ranges that are second to none and manufactured to the highest possible standards. 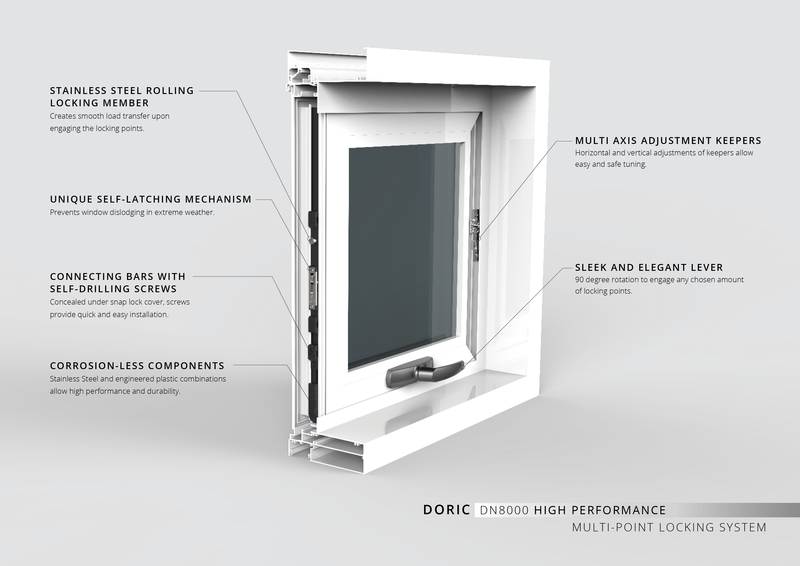 As the benchmark of high quality, innovative design, Doric’s products are engineered to provide optimum performance combined with appealing aesthetics; providing customised window and door hardware tailored for residential, commercial and architectural applications. Copyright © 2019 Doric. All rights reserved.